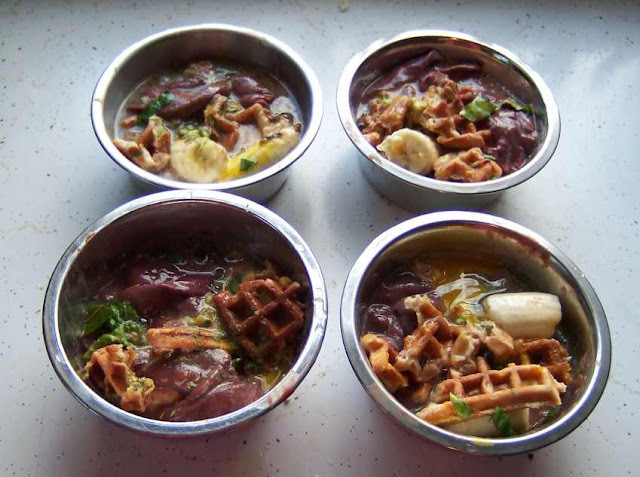 Home made diets are important in the dog feeding. 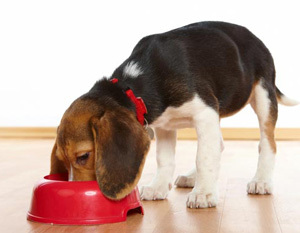 Many a times, the commercial diets consist of food items that have artificial coloring agents and flavoring agents that are harmful to the dog's body. Home made food items have the guarantee of freshness in the preparation unlike the ready-made commercial items. The purpose is to have the restricted protein supply in the feed items prepared. This should be carried out with home made diets prepared exclusively for the dogs suffering from renal diseases. Water is added in sufficient quantities to help the proper metabolism in the digestion-impaired renal cases. The dog may have allergic symptoms like severe itching, which may not get corrected by different kinds of medications employed over a period of time. Such cases may get easily treated once the dog food is changed from the commercial type of food to the home made food items. Often, the home made food items are prepared using the freezing procedures to kill the germs or by adding grape seed extracts to provide sufficient antioxidants to the home made food items. Food grade vinegar is also added in many times to the meat pieces prepared in a fresh manner. All these can be enriched with vitamin supplements that are available in fruit essences, fish oil etc. Cranberry juice, bananas, fish and meat are prepared in a quality manner and no preservatives are added during the preparation of these kinds of food items and the dog becomes more active after the consumption of such food items.